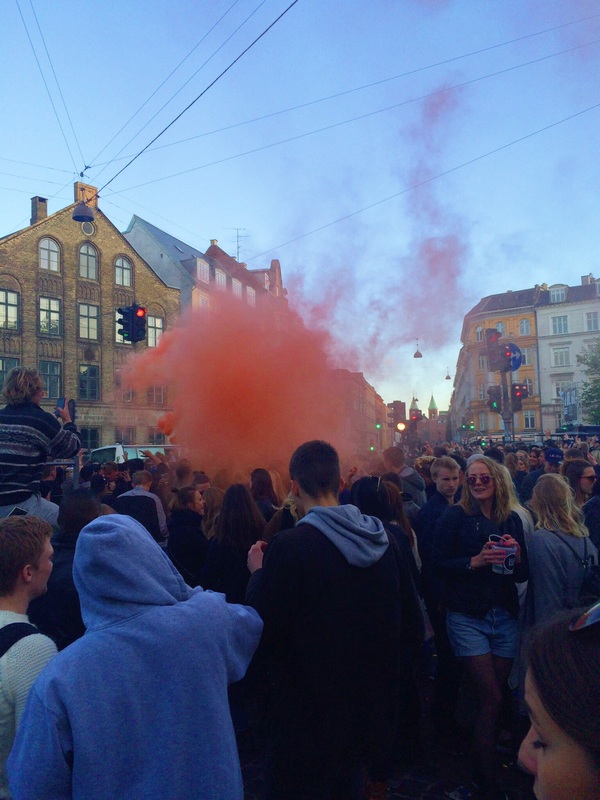 Last Wednesday, Distortion started in Copenhagen. This is a five-day music festival that takes place all across the city. 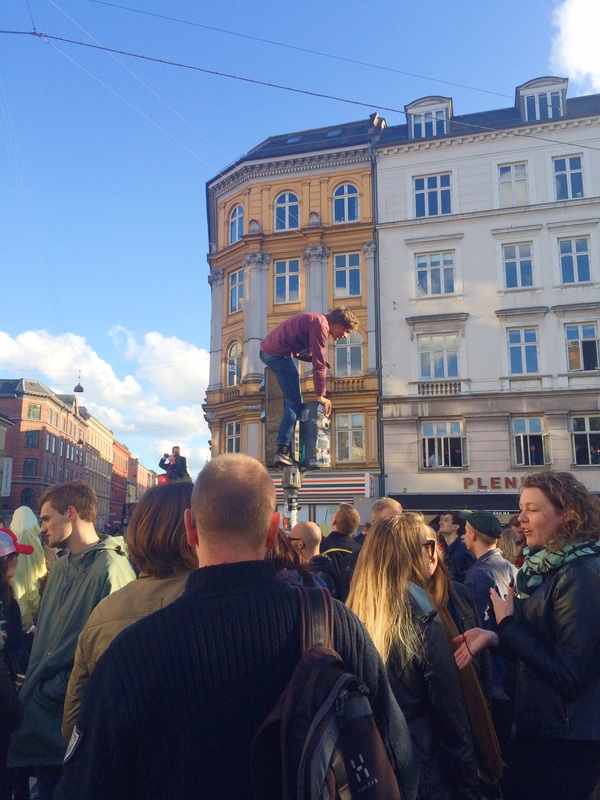 The first day kicked off in Nørrebro, which also happens to be my neighborhood. It would have been crazy not to go (since it was literally right outside my window), so I ventured out into the festival with some girls from the Meetup group. Again, I cannot stress how amazing Meetup has been for my social life. Without it, I probably would have had to wander around the festival all by myself. And everybody knows these street parties are so much better with friends. Thanks to the internet, I had a ready-made group waiting for me to join. We met up on the outskirts of Distortion, 8 of us in all. I knew one girl from a previous Meetup, but the rest were new faces. We all talked for a little bit just to get acquainted before we dove into the massive crowd. 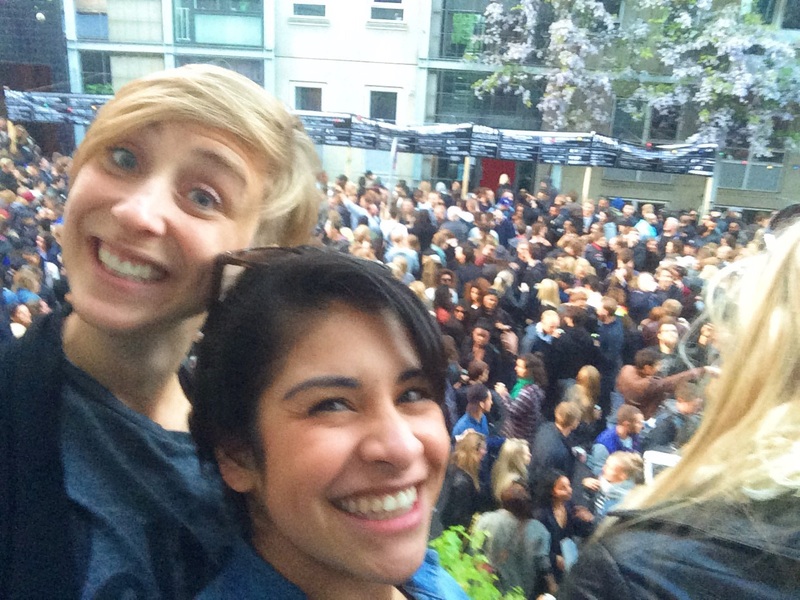 We dropped by one of the pop up bars before making our way up Nørrebrogade. 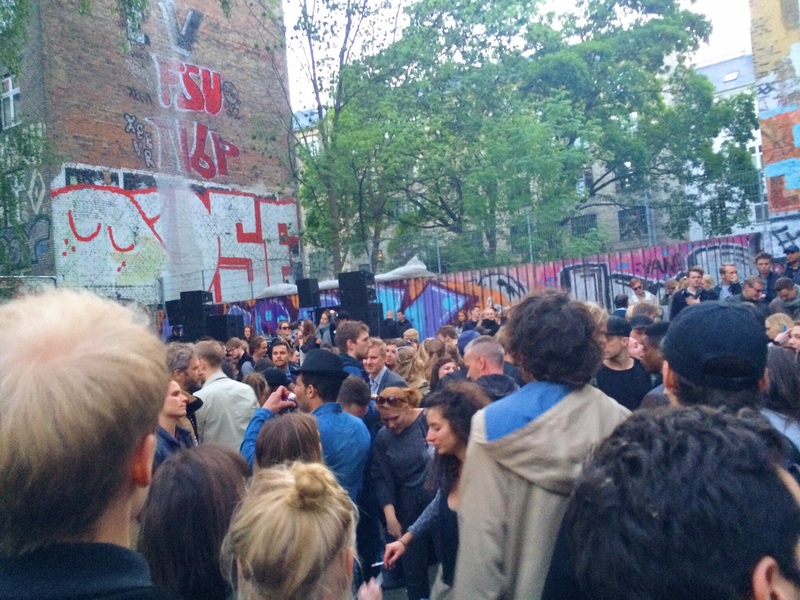 We passed a few small stages where handfuls of people were dancing to DJs. It was still early yet, so the crowd wasn’t at full capacity. 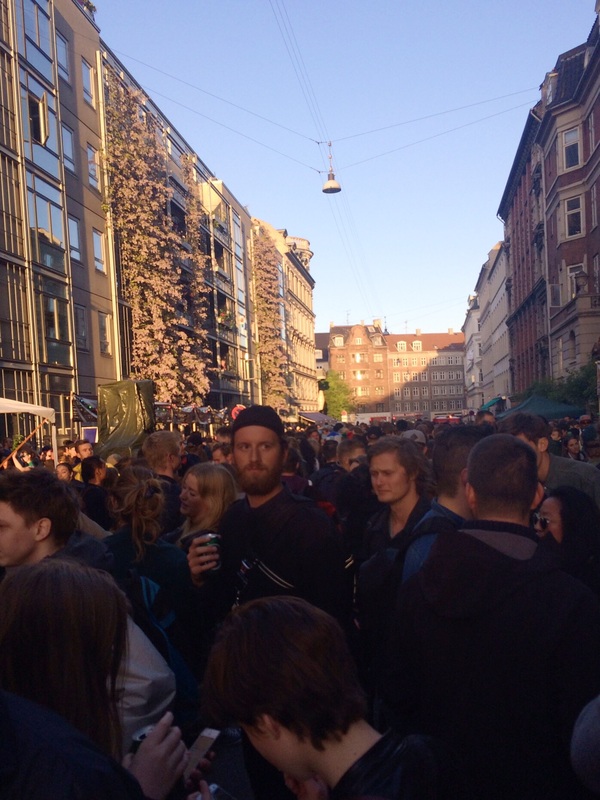 We made it to Sankt Hans Torv where one of the larger stages was located. This seemed to be where most of the people were convening. Everybody was drinking, and it definitely showed. 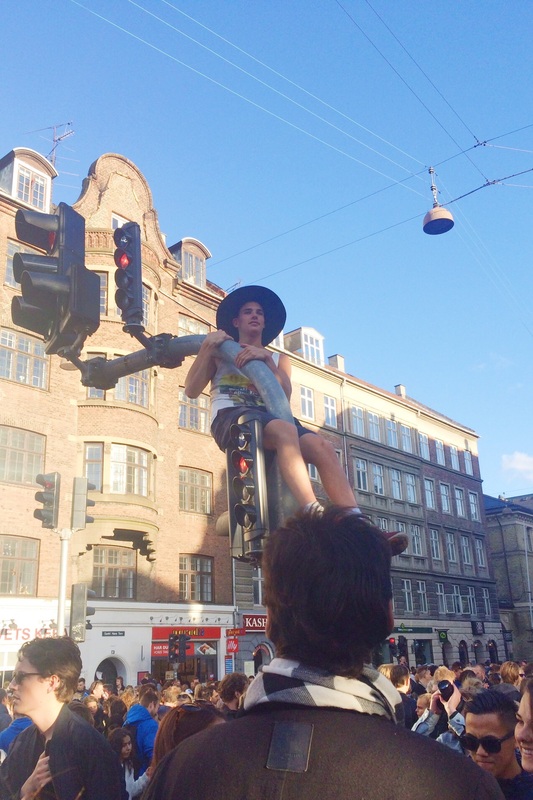 Several people climbed up light posts to sit and/or dance above the crowds. At this point, half of our group departed to go in search of food, so 4 of us remained. We were still waiting for one other lovely lady to join us, so we decided to take a quick bathroom break. Luckily, my apartment was only a 5 minute walk away, so we didn’t have to wait in the insanely long lines to use the port-o-potties. In no time, we were refreshed and ready to plunge back into the festival. 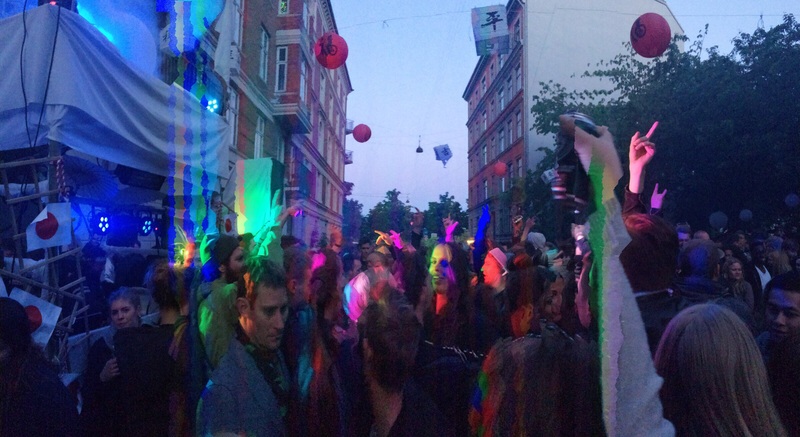 We made our way up towards Rust, a music venue/club, right past Sankt Hans Torv. It’s situated on a smaller street, so the crowd was really packed together. This venue attracted a fairly large crowd, so we decided to stick around for a bit. We danced in the street while we waited for the last member of our group to arrive. We looked up and saw loads of balconies filled with lucky people enjoying the music above street level. Of course, we were beyond jealous. When our friend arrived, she told us that she knew someone who lived in a building nearby. She lead us down the block, rang the buzzer, and led us upstairs to an apartment. There, we became those lucky balcony people. We met other Distortion partiers and danced a few stories above the crowd. After a while, the 5 of us felt the need to go back into the belly of the beast. We made our way a few blocks over to a basketball court down the road from my apartment to see what was happening there. They really had set up stages and DJs everywhere in the neighborhood. Our final stop for the night was one of the stages near the Lakes. The party was starting to die down, but this last DJ was still going strong. Eventually, the music stopped, and after 5 awesome hours of partying around the neighborhood, it was time to go home. I was only able to make it to one day of Distortion this year, but I definitely plan to get to more neighborhoods next time around. The final two days of festival require a ticket, but the street parties are free. Who doesn’t love a free party?? 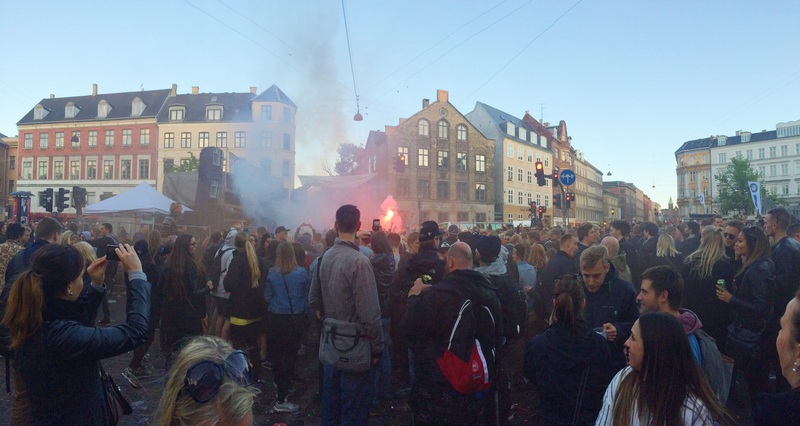 Distortion was by far a great start to my first Danish summer. I look forward to seeing what else Copenhagen has to offer in the summer months, especially the next two festivals on my list: Tinderbox and Roskilde. Follow me on Bloglovin and never miss a new post! You can also find me on Twitter and Instagram! I am definitely planning on NOT being on crutches to explore Distortion next year! Looks like I missed out!